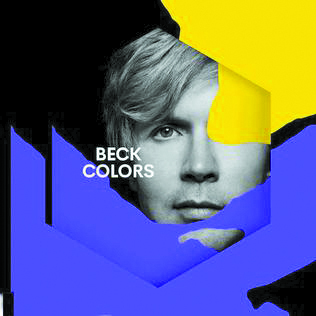 The phrase “good things come to those who wait” rang true for Beck fans this past Friday, as the release of his long-awaited album “Colors” arrived. It was his first album since 2014’s “Morning Phase,” which earned the artist album of the year at the 2015 Grammys (controversially over Beyoncé’s self-titled smash hit). The album was produced with former band member Greg Kurstin, who has become one of the most sought-after pop producers due to co-writing and producing Adele’s “Hello,” as well as his work with Sia and Kelly Clarkson. The first single, “Dreams,” was released back in June 2015. Beck himself told Rolling Stone that the album could have come out a few years ago and gone over fine, but he wanted to make sure all of the complex production elements fit together. This perfectionist system meant fans had to suffer through multiple release dates, single teases and long stretches with no information at all. In the end, it was all worth it, as Beck delivered while drastically changing genres from a folk think-piece to a pop sensation. With this being said, many of the lyrics are not as happy-go-lucky as the synth-heavy beats might make one think. Many of the songs, written before “Morning Phase,” explore the complexities of life through the eyes of someone going through a midlife crisis, possibly related to Beck’s own experiences (he turned 47 in July). In “Dear Life,” he is questioning when life will stop keeping him guessing and begging for his expectations to be lowered, reminiscent of the contradicting lyrics-to-sound tone of Paul Simon’s “You Can Call Me Al.” “No Distractions” is a personal favorite, as it is not only extremely fun with new elements appearing in every listen, but also features lyrics that refer to the difficulty of a private life in modern society. The most outlandish song on the album, “Wow,” was released as a single last year and has trouble fitting in with the rest of the album. Funky and strange with pan-flutes and TV show samples, it is the most “Beck” like song on the album, but misses as a clunky mix of his old “Odelay” and “Midnight Vultures” styles. While much of the album is a brand new side of Beck, there are elements that ring true to form. The album closes with the original version of “Dreams,” but before that is the slow ballad “Fix Me.” Beck often closes his more upbeat albums with a slower song, both “Mellow Gold” (“Blackhole”) and “Odelay” (“Ramshackle”) did the same with folk influenced pieces. While “Fix Me” is not folk, it is in stark contrast to the rest of the album. “Colors” might not always be consistent, but it is an absolute joy to listen to. From the first song to the last, you will be dancing and humming along to the songs for days. Beck has reinvented himself yet again, and it is safe to say that the musical chameleon has rightfully earned his reputation as the most versatile musician of his generation.